Artificial intelligence, cognitive computing, deep neural networks, augmented intelligence, machine learning, and so many more promising technologies have been in our world for decades. But something has finally changed and it's something that is very important. "Smart compute" now has the scale and scope of data it needs to learn, something that has not been available even though the computing technology and predictive algorithms have been. Storage costs have dropped dramatically making it economically possible to store the vast amount of data available to us. To move from historical reporting to predictive and pre-emptive analytics requires a volume and variety of data to "teach and train" computers at a level of scale that has never been available to us... until now. But this data explosion does bring its own set of challenges. Virtually every company in every industry has machine learning (ML) projects, often in Innovation Labs or Data Science departments. Most of these projects are reliant on specialty platforms that offer strong capabilities but that cannot access all of the data relevant to business objectives. All of this data is stored in a variety of data warehouses and data lakes, none of which have the ability to run end-to-end machine learning, forcing data movement to the specialty platforms. Data movement of terabytes, and even petabytes, takes a lot of time and money, plus it introduces a truly dangerous security risk, especially if key data contains personally identifiable information (PII). In addition, speciality platforms have limitations on the volume of data that they can handle. As a result, only a subset of data, frequently known as down sampling, is used to train and score ML models, resulting in limited accuracy. In 2019, current industry disruptors and smart traditional companies will bring machine learning to all their data, rather than moving their data to the ML platforms. They will leverage all of the data available to them - regardless of where that data is stored - and benefit from the security and governance that protects that data. They will leverage advanced analytics platforms that integrate and communicate with ML languages like R and Python that are chosen for model training and evaluation. These data determined leaders will not compromise on accuracy and they will not accept delays. Accurate predictions are useless if they come too late to take any meaningful action. These forward thinking companies will take the lead in a wide variety of business use cases, including predictive maintenance on medical devices, predictive revenue based on personalized customer behavior analytics, and proactive fraud detection and prevention. And most importantly, they won't settle for knowing what is going to happen - they will use all of their data combined with end-to-end ML functionality to produce recommendations and to automate the actions necessary to influence the outcome. Joy King is the Vice President of Product Management for Vertica at Micro Focus, where she and her team identify key market trends, customer input, and innovative ideas and we collaborate with R&D to build the best analytics database on the market. 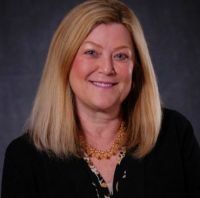 With more than 25 years in the industry, Joy has experience spanning direct sales, global account management, sales leadership, industry marketing, partner management, human resources, employee communications & engagement, product marketing and product management.